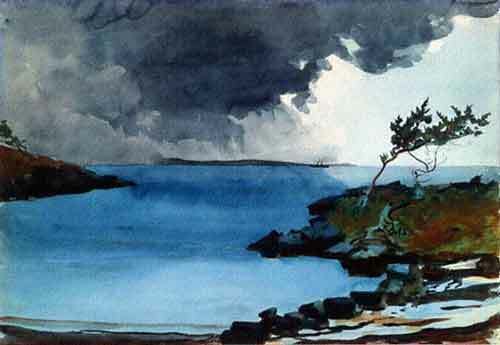 by Winslow Homer, (February 24, 1836 – September 29, 1910) who was an American landscape painter and printmaker, best known for his marine subjects. Watercolor over graphite on paper. This page was last modified on 6 June 2015, at 08:30.